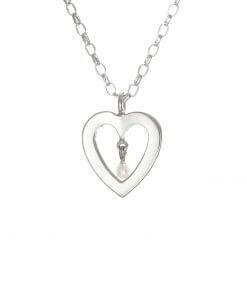 Sterling Silver Heart with tiny white freshwater pearl hanging from the centre. 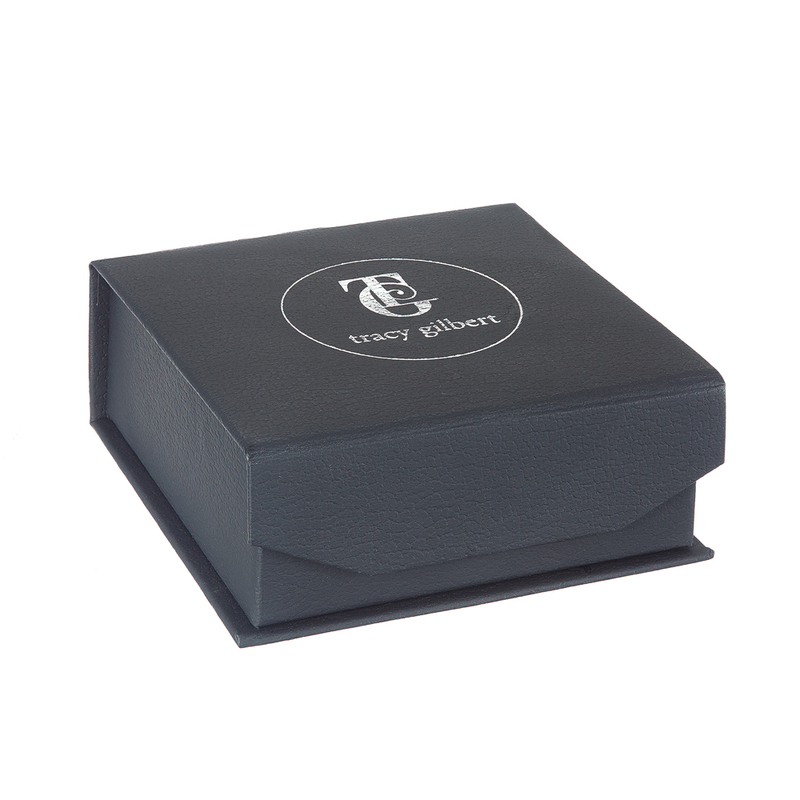 Say “I love you” to that special person in your life or remember somebody special to you. 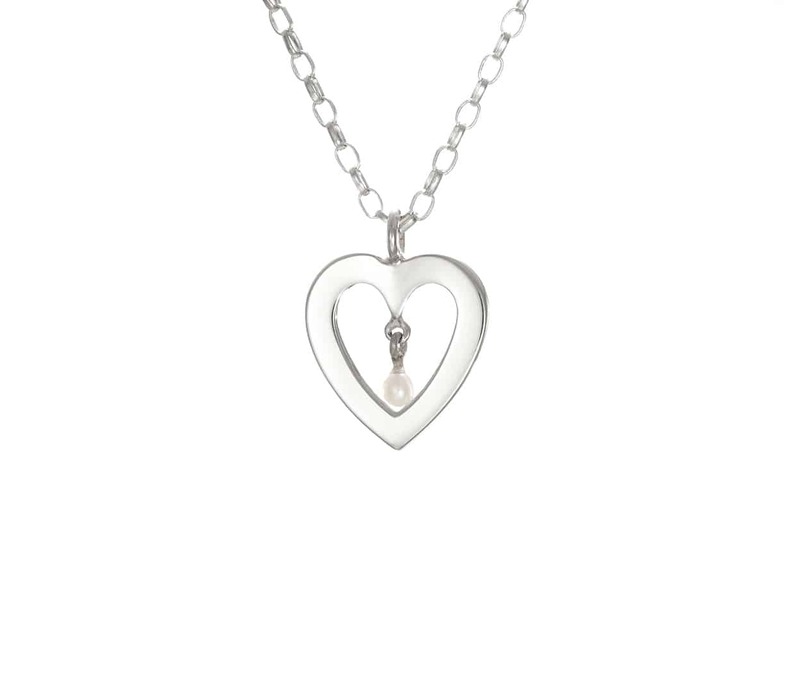 This Heart pendant measures just over half an inch and has a tiny (2-2.5mm) white freshwater pearl hanging from the heart that can move. 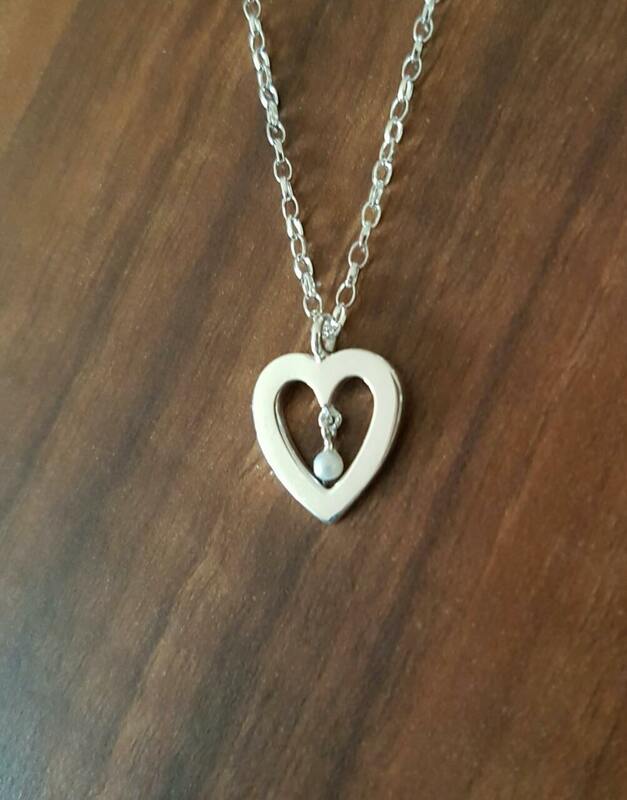 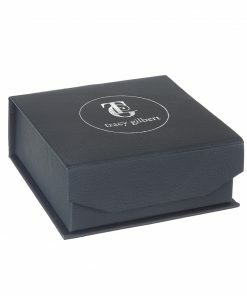 Each pendant comes with option of a 16 inch, 18 inch or 26 inch sterling silver chain. 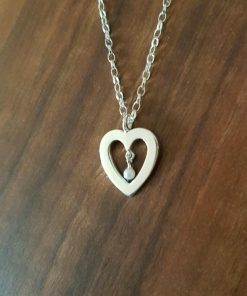 Each piece is meticulously made with love for Irish roots, history and heritage and is hallmarked in the Assay Office at Dublin Castle.